Christmas is coming and I'm looking forward to getting back into my sewing again (Christmas prezzies!) 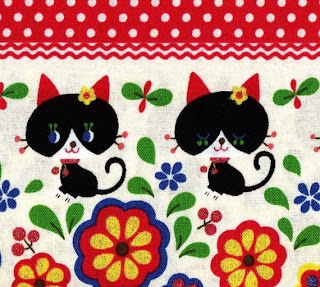 I found out about a lovely fabric shop on Etsy IKOplus fabric (click here for link to shop) They have a fantastic range of fabrics, I love this cat one! 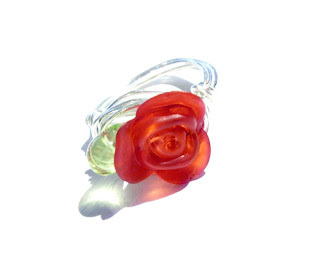 I've been mastering the art of wrapped wire rings this month! Delighted with the end result! 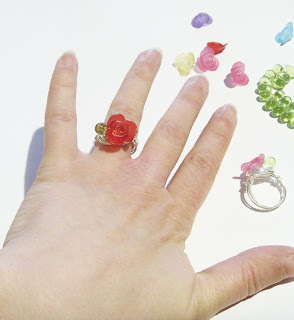 I'd had these lucite rose beads sitting in my bead stash for a year, finally I've found the perfect design for them!